The Obama administration has proposed revising power guidelines that may affect bald eagles but hasn't issued a "kill order" for thousands of the birds. The Obama administration has proposed revising power guidelines that could affect eagles, but the President hasn't issued a "kill order" allowing the slaughter of thousands of bald eagles per year. Proposed revisions to wind power guidelines could allow wind power companies to injure or kill more bald and golden eagles per year without penalty. The revised guidelines are unlikely to lead to thousands of additional eagle deaths because they impose more stringent requirements on wind power companies to minimize such accidents, and there's little evidence that wind turbines currently kill anywhere close to 4,200 eagles per year. Bald Eagles are one of the most enduring symbols of being American. They are a majestic bird of prey. They were on the List of Endangered and Threatened Wildlife until 2007, but were just removed by Obama. They have been endangered for decades, but Obama thinks it’s okay to allow their slaughter. *** Wasn’t he satisfied with killing America already? Obama doesn’t have any issues destroying America. Now, he wants to take down our national symbols. He has also approved the handing out of permits to wind farms that have killed off thousands of Bald Eagles. Obama is doing this in the name of “conservation.” He and his liberal friends at the U.S. Fish and Wildlife service are giving out 30-year-permits to wind farms like candy. He really hates the Bald Eagle. *** No, really. Wait till you see how the are getting killed by the thousands. The U.S. Fish and Wildlife Service proposed a new plan that would allow energy companies to operate with permits lasting up to 30 years, while also raising the number of bald eagles they can kill or injure per year without incurring hefty penalties to 4,200, which is nearly four times the current limit. A source within the Obama administration said this is the best plan put forward to actually help conservation efforts, maintaining this new proposal is a “strong protection” for bald and golden eagles. 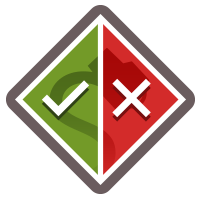 Currently, wind power companies can hold permits for five years at a time, which, according to the source, doesn’t give companies good financial footing. By extending the permit to 30 years, it can encourage the development of wind energy, a key source of renewable power that has increased exponentially in recent years. The 30-year permits would still have to be reviewed every five years, and companies would have to submit reports of how many eagles they kill or injure. The proposal will grant access to critical data about eagles, the source said. It will also allow the administration to work with companies in where the companies place their machines — hopefully to help avoid possible eagle populations. Under the new proposal, companies would pay a $36,000 fee for a permit, which exempts them from the hefty penalties for killing or injuring eagles. Companies would have to commit to take additional measures if they kill or injure more eagles than estimated, or if new information suggests eagle populations are being affected. The change in regulations doesn’t mean that power companies are suddenly going to be setting their wind turbines to “eagle kill” mode and bagging the limit of 4,200 bald eagles per year, however. 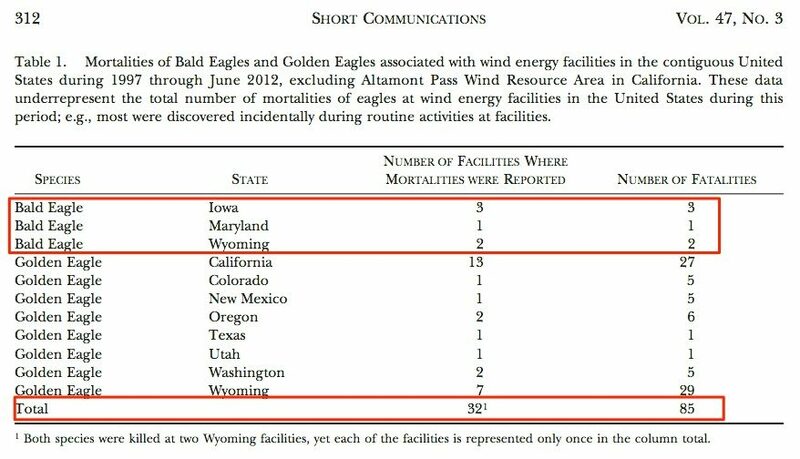 A 2013 article published in the peer-reviewed Journal of Raptor Research found that “concerns over the effects of [turbine-related deaths] on North America’s Bald Eagles and Golden Eagles exist, but are weakly substantiated due to a lack of published documentation of mortalities.” That study aimed to “summarize documented cases of eagle mortality at wind energy facilities in the contiguous United States” for the 15-year period prior to its publication. Yet many environmentalists say wind power ultimately benefits birds. It is a “a growing solution to some of the more serious threats that birds face, since wind energy emits no greenhouse gases that accelerate climate change,” Terry Root of Stanford Woods Institute for the Environment, said in a statement accompanying the study’s release. [In September 2014], a National Audubon Society report said that hundreds of bird species in the U.S. — including the bald eagle and eight state birds, from Idaho to Maryland — are at “serious risk” due to climate change. It said some species are forecast to lose more than 95% of their current ranges. “Our scientists are still reviewing this particular study,” says Audubon spokesman David Ringer. He says his group strongly supports “properly sited wind power as a renewable energy source that helps reduce the threat posed to birds and people by climate change.” He says it has helped develop guidelines for the wind industry to minimize harm to wildlife. So revisions to wind power guidelines allow for the possibility that wind power companies could kill more bald and golden eagles without penalty (up to 4,200) than they have in the past. However, there is little evidence that many eagles have been killed or injured under the existing rules, and the revisions are balanced by requirements that wind power companies implement more stringent safeguards to protect such animals, such as enabling the collection of valuable information about eagles, and helping to foster sources of energy (such as wind power) that do not threaten eagles through the degradation of their existing habitats. Associated Press. 4 May 2016. PLOS One. 15 September 2015. ABC News. 4 May 2016. USA Today. 14 September 2014. Journal of Raptor Research. September 2013.